On the 1st (Thu), identify plant and animal life at KL Bird Park, then explore the fascinating underground world of Batu Caves, then admire the landmark architecture of Petronas Twin Towers, and finally meet the residents at Aquaria KLCC. 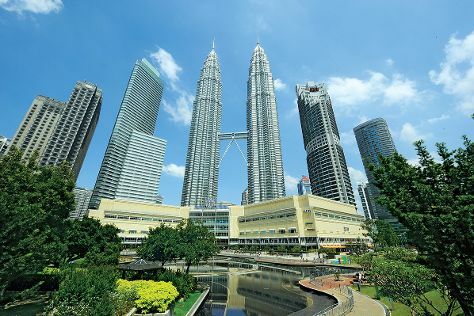 Get ready for a full day of sightseeing on the 2nd (Fri): take a stroll through Jalan Alor, enjoy breathtaking views from Menara Kuala Lumpur, then stroll through KLCC Park, and finally admire the masterpieces at Islamic Arts Museum Malaysia. To find other places to visit, maps, photos, and other tourist information, read our Kuala Lumpur road trip planning tool . Ahmedabad, India to Kuala Lumpur is an approximately 9.5-hour flight. You can also do a combination of train and flight; or drive. You'll lose 2 hours traveling from Ahmedabad to Kuala Lumpur due to the time zone difference. Traveling from Ahmedabad in February, you can expect nighttime temperatures to be somewhat warmer in Kuala Lumpur, with lows of 28°C. Cap off your sightseeing on the 3rd (Sat) early enough to go by car to Melaka. 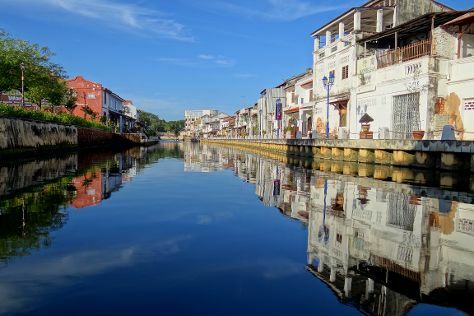 Kick off your visit on the 3rd (Sat): get engrossed in the history at Baba & Nyonya Heritage Museum, then make a trip to Red Square (Dutch Square), then don't miss a visit to Jonker Street, and finally explore the activities along Malacca River. For maps, reviews, and more tourist information, use the Melaka travel planner. Getting from Kuala Lumpur to Melaka by car takes about 1.5 hours. Other options: take a train; or do a combination of train and bus. March in Melaka sees daily highs of 39°C and lows of 28°C at night. Finish your sightseeing early on the 4th (Sun) to allow enough time to travel to George Town. 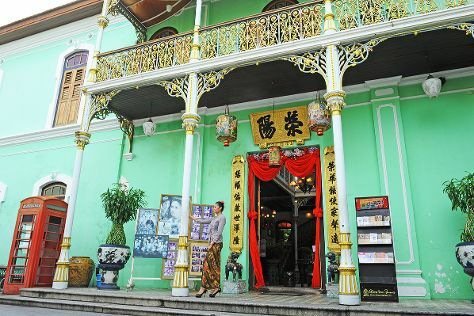 Kick off your visit on the 4th (Sun): take an in-depth tour of Pinang Peranakan Mansion, then examine the collection at Khoo Kongsi, and then contemplate in the serene atmosphere at Kek Lok Si Temple. To see ratings, reviews, more things to do, and tourist information, read our George Town road trip planner. Getting from Melaka to George Town by flight takes about 2 hours. Other options: do a combination of bus and flight; or drive. You'll gain 1 hour traveling from Melaka to George Town due to the time zone difference. In March, plan for daily highs up to 38°C, and evening lows to 28°C. Wrap up your sightseeing on the 4th (Sun) to allow time to travel back home.